While a significant portion of documentation nowadays is digital, paper remains an essential part of most business operations. To minimize the impact of your business on the environment, paper recycling is vital. This involves the reprocessing of waste paper for reuse. The process of paper recycling starts with the collection of waste paper in your organization to the recycling plant to undergo various processes. There is, however, a lot of sensitive information contained in documents in business spheres. So, paper shredding companies start the recycling process with the cutting of your paper. Many businesses assume this is a simple process of passing the paper through a shredder and would rather handle it themselves to cut on recycling expenses. But there are actually different techniques used for paper shredding depending on the sensitivity of the paper that is being recycled. The following are a few techniques of paper shredding. This is also called ribbon shredding and involves the cutting of paper into long parallel strips when passing through multiple blades on horizontal shafts. Strip-cut shredding is generally used for papers that do not contain sensitive information since the shredded strips can be reconstructed into a complete document. If your documents have confidential information, the recycling plant can opt to shred them into extremely narrow strips. Ribbon shredding is inexpensive and will lower the costs of your paper’s recycling. This shredding technique involves the cutting of your paper into diamond or square pieces by passing them through horizontal and vertical blades. 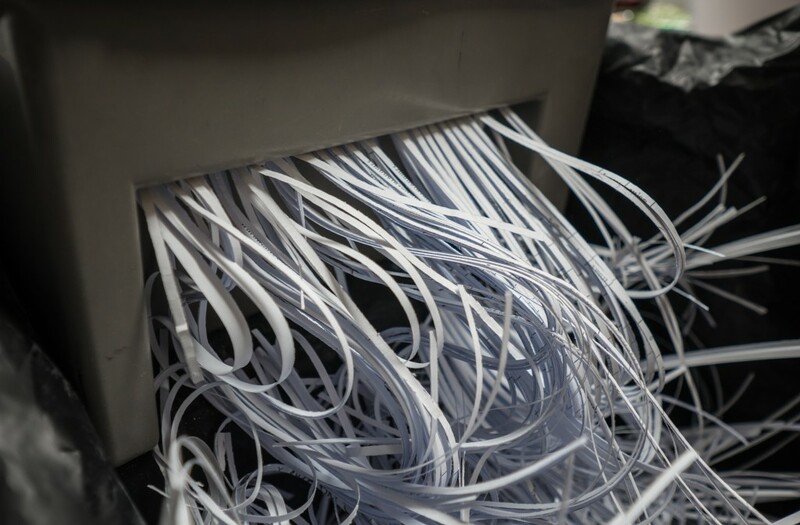 Cross-cut shredding has a higher security level compared to ribbon shredding though the precise size of the shreds will be the primary determinant of the level of security of this technique. It is an ideal option for those looking for a highly secure shredding but cannot afford the high costs associated with sophisticated machines. This is at times called micro-cut shredding. The paper in this process is ground into millions of minuscule particles by fine-toothed blades. Papers cut by a particle-cut shredder are impossible to reassemble, making it a highly secure shredding option. The machine used for this cutting technique is costly, and this expense will be passed on to you as slightly high recycling costs. But the expense is worth it for those dealing with top-secret and highly confidential documents like research facilities, governments and financial institutions. Here, several heavy-duty rotating blades are used to cut your paper. These pierce the paper and rip it apart as it is passed to a large holding container. This is the most common shredder used for the shredding of bulky materials. The pierce-and-tear shredding technique, however, is not an ideal choice for documents with sensitive information. After your paper is shredded using any of the above techniques, it is pulped to reduce it to its primary constituents and then burnt if this is the agreed upon disposal method. After pulping, the paper can be bleached before being processed into the desired paper. For businesses aiming to minimize their running expenses or run an eco-friendly venture, recycling is their best choice.